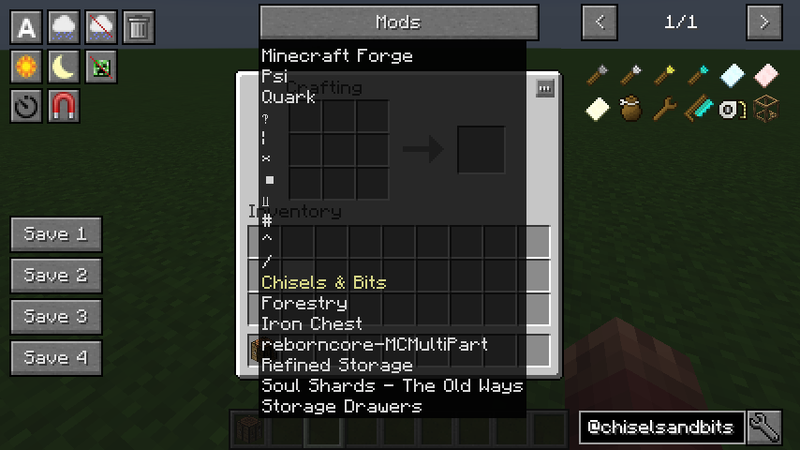 Small client-side mod with no dependencies (JEI is recommended), which adds some utility buttons to the inventory screen. JEB works in singleplayer and on servers with and without it installed. When in singleplayer JEB will work without cheats enabled (Can be configured). On servers with the mod all actions require OP by default. On servers without JEB you'll need OP for all actions which can obviously not be configured. Note that these will not be registered if More Overlays is installed. First left click "save" on any of the four buttons to save your current inventory. When you now click on the button with an item you can give it an icon. Right clicking on the button will clear the save again. Saves are stored per user and shared across maps and servers. When playing on a server which does not have Just Enough Buttons installed, giving yourself an inventory snapshot will not work if the items have too much NBT. For that to work install this mod on the server. When in singleplayer or on a server with JEB installed the trash button will work like it did in NEI or TMI. Just take an item and click on the button to delete it. On servers without it or with any older version (1.10.2-1.7.3 and below 1.11.2-1.4.5) you'll have to use it like described below. When in survival mode just grab a stack and click on the button to delete all items of that type. Hold shift if you want all items, including sub items, to be deleted (e.g. All types of wool or colored glass). When In creative it won't delete the item you're currently dragging around, so you'll want to hover over the item you want to delete, press C (Can be changed) and then click on the delete button. That's it, source code is available on Github! Edit: Wow, 200k downloads, thanks a lot! I just wanted to point out, that I almost never read the comments on this page so please if you were about to write a comment here I'd highly recommend you do it over on minecraft.curseforge.com. 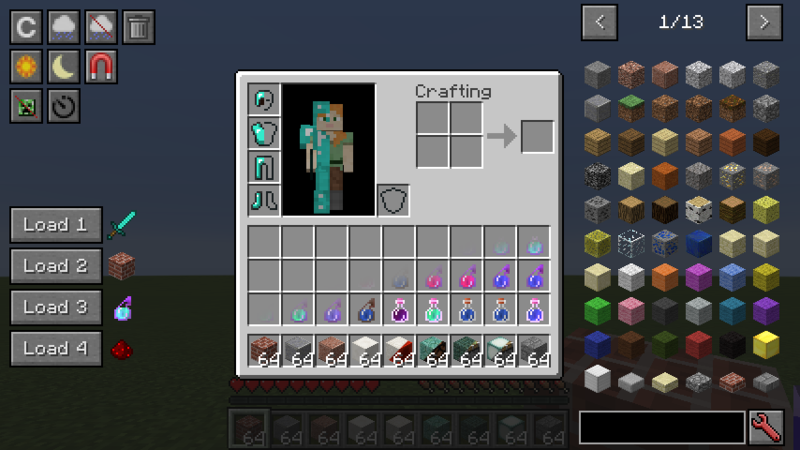 is it possible id you can add custom enchant while you at you inventory like the old nei? The buttons are great. I wanted to do a custom button deleting all hostile mobs only. This idea came to me after I tried your "kill all entities" button. Which deleted then my minecarts and all itemframes from the system, leaving me without a clue what to feed into this chest. which deletes every drop from the server and stops lagging. Of course killing all hostile mobs is a cool thing. But I can only imagine of chaining commands with the falling sand method. But "that" is cut off after several lines. Would you kindly consider enlarging the command space? Pleas give an option not to delete all items of that type. More often I want to delete one stack to clean up my inventory but I will not delete all. Is there a way, or will there be a way, that on a server certain buttons can be set to either need OP or be open to all players? Like something in the config that can be set.